Have you ever dreamt to live like a King or Queen for one night? 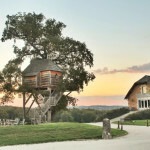 In the castle Chateau de Labro situated in France, very close to Rodez, you can live the experience of sleeping and living for one or more nights in La Canopée, the treehouse of the castle. Some days ago, a good friend of mine and famous blogger Fraintesa, wrote me telling me that she was in this wonderful place, but unlucky at the end she couldn’t sleep on the treehouse. It’s a pity, I wanted to know her feelings and experience on a special treehouse like this! 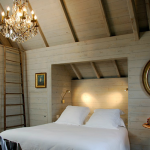 Anyway, as you can read from Chateau de Labro’s website, you can enjoy the luxurious and comfortable place surrounded by the French countryside, sleeping under thousand of stars in the middle of the nature, that can assure you a completely relax. The day after you can have a rich breakfast served on the terrace, before enjoying the beauty spa and body treatments. 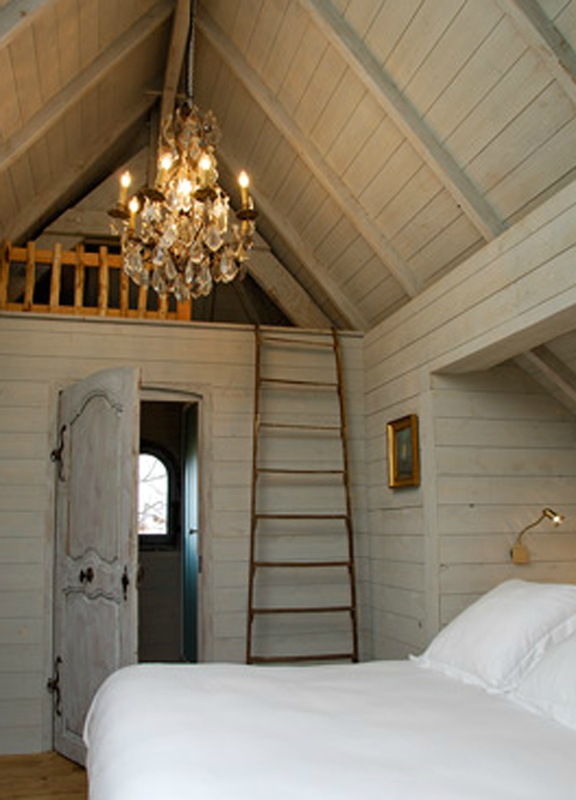 The very simple construction of this treehouse, gives you the sensation of comfort and relax. The natural color of wood outside contributes to a sense of familiarity and confidence, in contrast with the white wood inside to provide once again the sense of relax and elegance. The furnitures inside are in a perfect ancient style like in a real castle! The price for one night is 250 € inclusive a bottle of Champagne and the free access to the Jacuzzi. 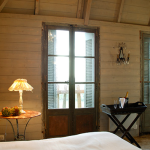 If you need more information or you want to reserve your dream night, visit Chateau de Labro‘s website. More pics in the gallery below.